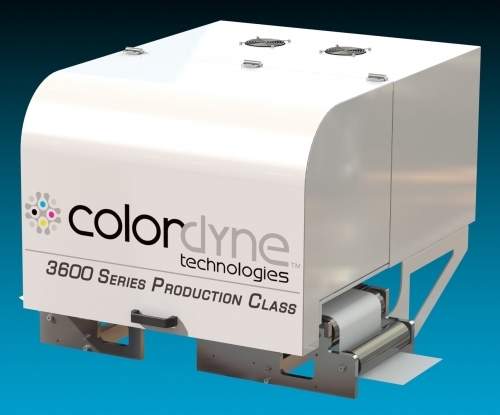 The Colordyne 3600 Series UV – Retrofit is an ideal print production solution for Label Converters looking to add full color water-based digital hybrid printing to their existing flexographic press. Avoid setup expenses by printing small jobs digitally and add full color variable data to traditional analog processes. Colordyne Technologies’ digital conversion program allows you to turn your existing flexographic press into a state-of-the-art hybrid digital web press. The 3600 Series Retrofit digital printing platform offers an industry-leading combination of high print quality, fast job production, and low equipment cost. The 3600 Series Retrofit is an ideal print production solution for label converters looking to add full color digital inkjet printing to their existing flexographic press, and make use of their tooling inventory.